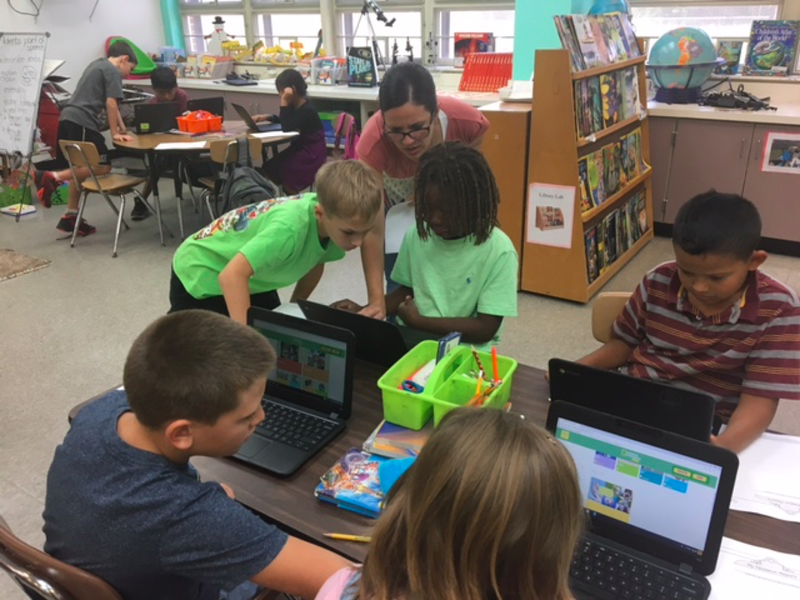 Jamie Viera helps some of her second graders during a lesson that integrates learning with technology. Having taught in both a rural and a more urbanized school district, I have noticed some variable differences. 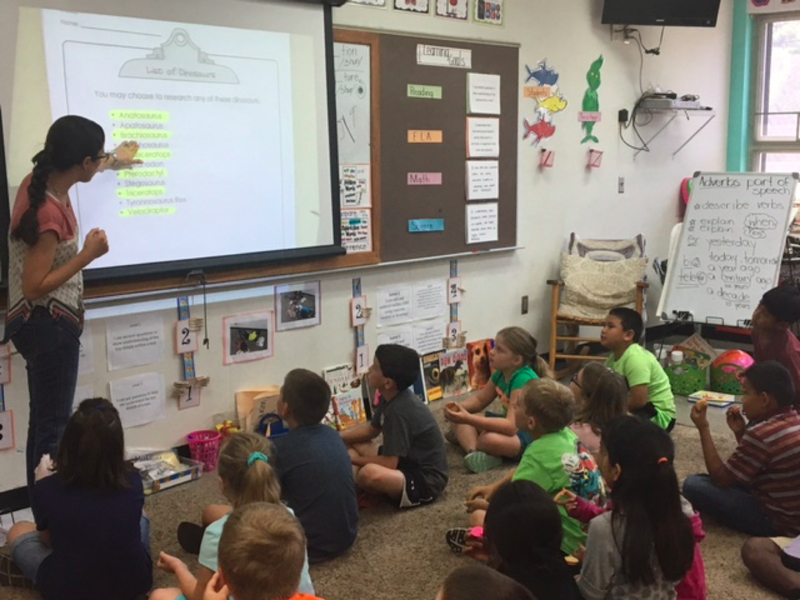 Six years ago, I began my teaching career at Osceola Elementary, which is located in St. Johns County, a school district that has consistently been among the top-ranked school districts in the state of Florida. While St. Johns County has the funding for an ample amount of after school programs, tutoring services and computers for their students, we are slowly starting to see the schools in Putnam County implement similar resources. I believe the main challenge affecting rural schools is the lack of support, resources and technology. Although there are challenges with working in a rural school district like Putnam County, there is no place I would rather be. Since Putnam County is home to many migrant workers from South America, it reminds me of the reason I began teaching in the first place. I, like many of my students, was born in a different country. In my hometown, Bejucal, Cuba, most students drop out of school early to begin a life with simple jobs. And while there is nothing wrong with simple jobs, my teachers took it upon themselves to show me that I could choose to follow my family traditions or continue my education. They were always instilling in me a desire to become a lifelong learner, allowing my knowledge to guide my future. When I realized that I could really become “anything” in life, I decided to become a teacher. Teaching is the only profession in the world in which we can offer children hope, encouragement and opportunities that are not offered elsewhere. But this past year, two students from an aboriginal village in the mountains of Guatemala greatly impacted my professional development. Because I was not provided with much information on the two sisters, I decided to use this past year to focus on really listening to my students in order to understand what they were struggling with, both academically and personally. After speaking to the girls for a few minutes, I was beginning to understand the immense fear the girls had toward the new and unfamiliar school environment in Florida. Having never been on a school bus, they told me they feared of getting on the wrong one and never returning home to their parents. 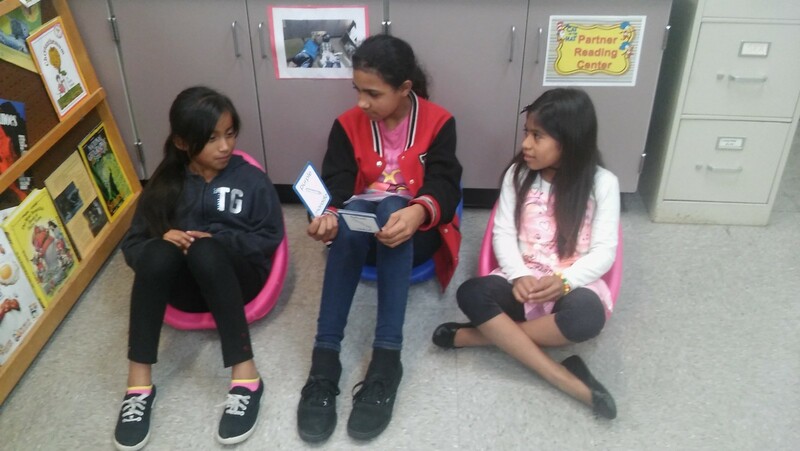 Through listening and understanding, I was effectively able to help them console similar fears about their new home by the end of the school year. One of the Guatemalan sisters works with an older English Language Learner who helps her improve skills such as phonics and vocabulary. But when I looked at them, I learned to see two girls who were ahead because they spoke Spanish; an ancient Mayan language, Popti; and they were on their way to learning English. This past year, I opened up a small window full of endless opportunities for the two sisters, but they also opened a window for me. That is why I am working toward introducing a Spanish Club at Browning Pearce Elementary in the upcoming school year. This will allow me to continue my professional development, while allowing my students to grow socially and academically.